Travel to Scotland is not for those who want a beach holiday. But its wild, unspoiled (for the most part) landscapes and rugged, hilly terrain, mirror-like lochs (which can quickly turn uncomfortably choppy with a change in the wind) and sweeping expanses of purply-brown heather make you want to take a deep breath of the fresh, unpolluted air and stride briskly out across the country in the footsteps of Robert Louis Stevenson’s heroes. There’s a lot of history in Scotland, much of it true. Indeed there is. Scots travelled out across the world, not only as emigrants but as engineers, doctors and explorers. 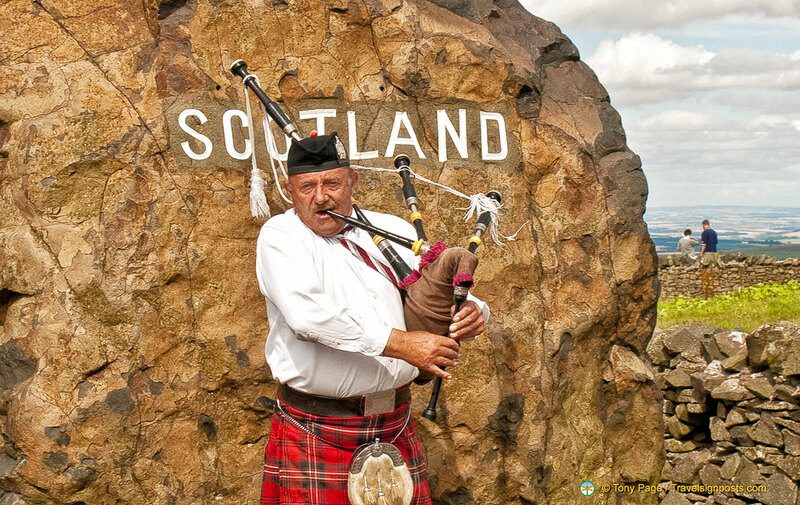 As a result, when we tour the Highlands and Lowlands of Scotland, many names are familiar to us as existing in our own countries, for Scots never forget their heritage. Travel to Scotland means ancient castles, royal estates, trout and salmon-filled rivers, grouse and red deer on heather-covered moors, legendary, often mysterious islands, huge burnished copper stills in whisky distilleries, multi-coloured tartans everywhere (especially in tourist shops), the skirl of bagpipes, the rugged charm of the land and its dour but hospitable people. The sheer… Scottishness of it all is overwhelming, yet at the same time reassuring. The Scots know who they are and where they’ve come from. There may be some dispute about where they’re going, but they all agree that they’ll still be Scots when they get there. Who are we to argue? Oh my goodness Tony, I think you’ve used every Scottish colloquialism in the tartan dictionary! I live in Scotland and probably haven’t seen half o’the things you describe! Seriously Tony, thanks and good luck. But I saw them all, Malcolm, honest! Although I admit we haven’t spent long enough in Glasgow to do the city credit…we are both Taggart addicts, though!